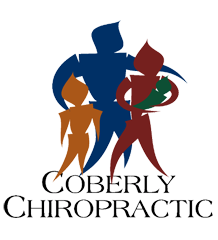 What Chiropractic Patients Want to Know About Hypermobility Syndrome – Coberly Chiropractic, Inc.
Hypermobility Syndrome is a condition of the joints. It is characterized by the ability of the joint to move beyond its normal range of motion and is sometimes called “loose joints” or “double jointed.” It is typically a genetic disorder and often identified in children. The gene is passed from parent to child so the condition tends to run in families. It is estimated that 10 to 15 percent of children who are otherwise considered to be normal have joints that are hypermobile. However, it can be found in all ages and does not seem to be confined to a particular age group, ethnic group, or population although there are more cases of girls being hypermobile than boys. The signs and symptoms of hypermobility can vary widely from person to person. Some people may not experience any symptoms while others have muscle and joint pain along with mild swelling. This is usually noted in the evening or later afternoon as well as after moderate physical activity or exercise. The most common areas for pain and achiness are the elbows, knees, thigh muscle, and calf muscle. Often rest will provide relief. A person who is hypermobile is usually more prone to soft tissue injuries and sprains. Additionally, the affected joints may be more inclined to become dislocated. It can also cause back pain, impaired joint position sense, and even flat feet, osteoarthritis, and nerve compression disorders. Other symptoms include increased bruising, chronic pain, loose skin, and thin scars. Children and young people who are hypermobile often experience growing pains more often than other children. Most children will grow out of hypermobility; their joints will lose some of their flexibility as the get older. The symptoms of rarely persist beyond childhood although some adults do find that they get dislocations and sprains much easier. The exact cause of hypermobility is not known, although it does seem to run in families. It is believed that genes play a large part in the process, particularly those involved in collagen production which is a vital protein for tendon, joint, and ligament development and function. There are also several conditions that are associated with the condition. Genetic disorders like Ehlers-Danlos and Marfan have hypermobility as a component as does Down Syndrome. Treatment for hypermobility depends on the patient. It greatly depends on the symptoms that they are experiencing as well as the severity and how much of an impact the condition has on their quality of life. Mild symptoms may not require any treatment while more moderate to severe symptoms may warrant medication like naproxen, ibuprofen, or acetaminophen for pain. All of these can be obtained over the counter. Patients can ward off many of the symptoms or eliminate them completely by engaging in regular exercise, protecting the joints, practicing good posture, muscle strengthening exercises, and balancing techniques. Orthotics to correct flat feet can also be beneficial. Many people use chiropractic for hypermobility pain and discomfort. The doctor will use adjustments to bring the joints into the appropriate movement pattern and the body into proper alignment. This allows the body to function as it should and relieves stress from joints that were compensating due to misalignment. The patient may also be advised to do certain exercises at home and they may be counseled on improving their posture. Because chiropractic treats the entire body, the patient will find that they learn how to best live with the condition without medication and treat pain naturally. Patients report dramatic improvement in their pain and mobility after regular, consistent chiropractic visits.